GlassUp, born as a small startup in Modena, has already made great strides in the international technological landscape, but the projects that it intends to carry out are still many and characterized by increasingly sophisticated technology. In this regard, the Modena SME has recently announced an investment round for the subscription of a capital increase, with the aim of carrying out its ambitious projects. First of all, the realization of a new device. This Ultimate will feature a customized Android-based operating system, a renewed optics with a wider field of view and more powerful hardware. Furthermore, the eyewear will have the possibility to work in stand alone mode without the aid of the external box that now characterizes F4. 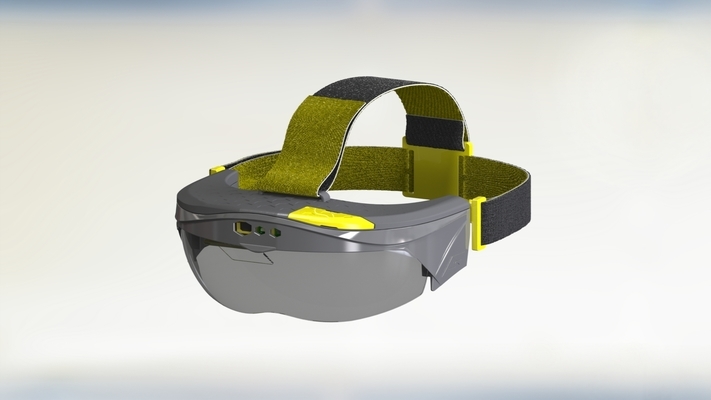 The new device will also have a hardware / software expansion port that will allow third parties to develop their own plug-ins to add features to the eyewear itself. which will be ready next April with interesting sales forecasts. This device will refine the main use cases of its previous version: teleservice, maintenance support, quality control, on-the-job training and logistics. The optimization of the F4 device, is not the only goal of the ambitious Modena startup and its team. GlassUp’s goal for 2019 is to start acquiring an economic sustainability deriving from market sales, to build and preside over a niche market in Italy and Europe. To do this, the company is moving in two directions: commercially, thanks to a development model that involves indirect sales through system integrators and distributors, and seeking partnerships with structured companies. The tangible data and future prospects are very positive: The smartglass market has seen over 340,000 units delivered in the world, of which 24,000 sold ‘by business’ in 2017 according to CCS Insight 2018 and the forecast is 5 million units sold by 2020, for a turnover of 10 billion euros according to Statista. The round of investment for the subscription of a capital increase is a salient goal for GlassUp’s ambitious projects to be carried out.